My understanding from the media is that consumer debt is on the rise and the highest it’s been in years… but this chart seems to contradict those reports. I’ll let my kind readers give me their views on the topic. 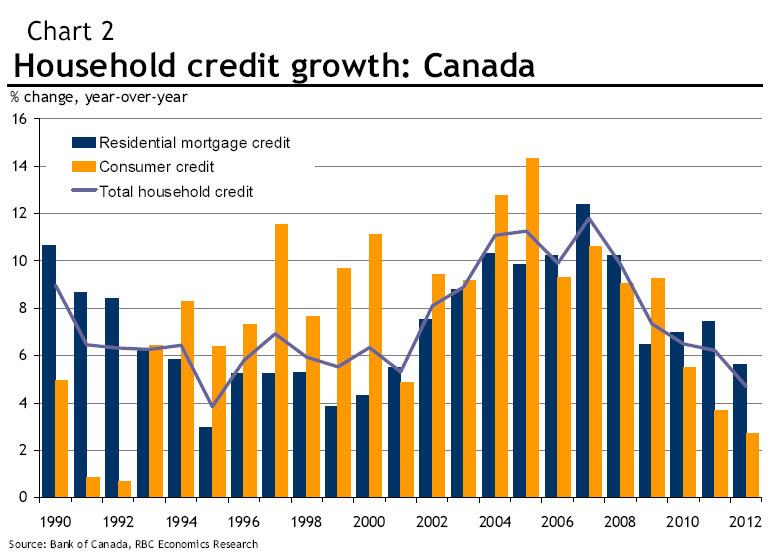 This is what I love (hate) about stats… the above looks like consumer credit is down… significantly. The source, RBC, seems credible to me. As Jim Rohn might say, “Fascinating”. The thing is that the graph is in percentage change. So we are still going up, just not as fast.